Here’s another quick drawing done with pen & colored pencil. 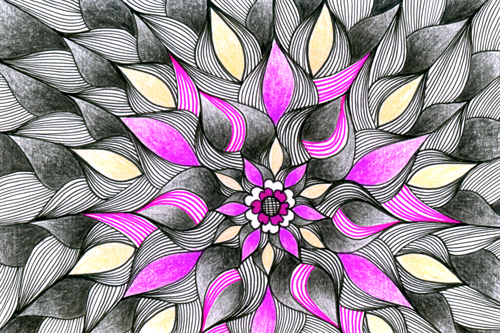 This entry was posted in drawings and tagged art, colored pencil, drawing, flower, Pattern by zanabot. Bookmark the permalink.